Just when I felt like I was caught up on the final releases of 2016, we’re starting to see 2017 products come across our desks already. Thankfully, the first jacket I am getting a chance to announce isn’t “more of the same” - it is actually something I’ve been hoping there would be more of! The REV'IT! 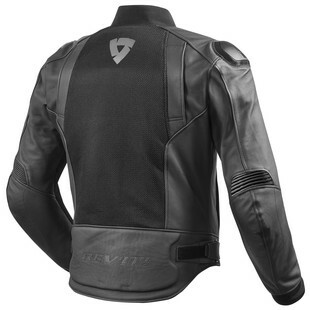 Blake Air Jacket is the new “hybrid” offering from REV’IT!, and I am genuinely excited for it. If you’ve had your eyes on the industry for awhile, you’ve probably seen half-mesh / half-leather jackets before, but they are few and far between. The REV’IT! Ignition 2 comes to mind as a beautiful example of this style jacket. Considering how hot leather is in the height of summer, I never understood why more of these jackets didn’t exist! Well, REV’IT! has taken a mix of MotoGP and blended it with a touch of “city”, and here we have the Blake Air - an awesome mix of 3D Air Mesh and Monaco Performance cowhide. 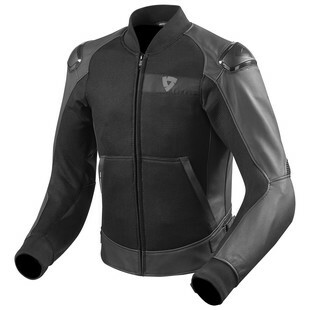 In addition to a full complement of CE Level 2 SEESOFT armor in the shoulders and elbows, you’re getting a slim, performance cut jacket with full ventilation panels at the chest, back, and sleeves, while remaining reinforced with a strong leather backbone. Just to boost the seasonality of this jacket, REV’IT! also included a detachable thermal liner. What stands out to me is the tasteful mix of race-inspired details with the casual, understated zip-up jacket styling. The knitted collar and cuffs, hand-warmer pockets, and lack of any loud branding make this a great choice for “around the town”, but the excellent construction, articulated elbows, shoulder sliders, and highly-effective armor package makes this jacket no joke. Most importantly, you’ll have the added strength of leather in a jacket that is actually appropriate for truly hot weather - and that is a lot more rare than you’d expect! I for one can’t wait for this jacket to hit the shelves, because this will be my go-to recommendation for someone who’s got their eye on leather but does most of their riding during the warmest months of the year. Its mature styling will make this one an easy sell to riders of all different age groups and styles. We’re glad REV’IT! will have this one in its line-up and you should definitely check it out when available.